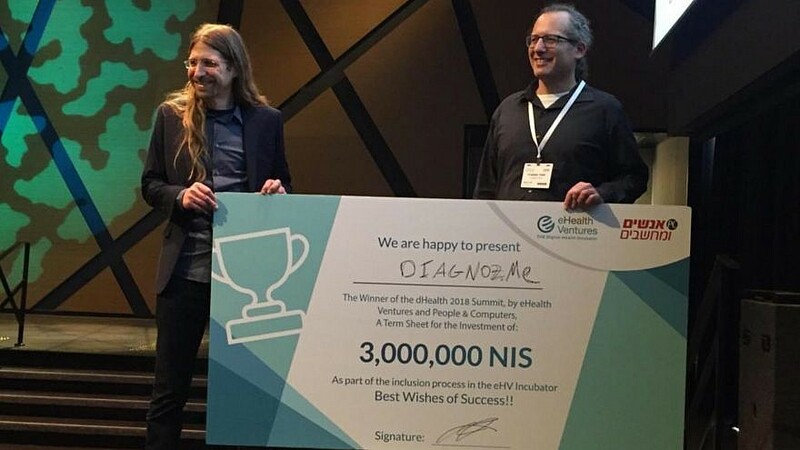 Diagnoz.me founders Ariel Livne and Tamir Epstein accepting their NIS 3 million (nearly $830,000) prize money at the dHealth 2018 Summit. Photo: Courtesy of Israel21c. (March 24, 2019 / Israel21c) If your eye is oozing and red, and an infection is suspected, you need to make an appointment with your doctor and get a lab analysis before you can start antibiotic treatment. 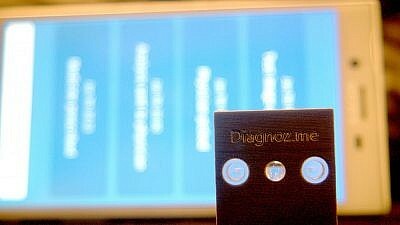 Diagnoz Prototype. Credit: Courtesy of Israel21c.